You are looking northwest from Hennepin Avenue between 6th and 7th Avenues. 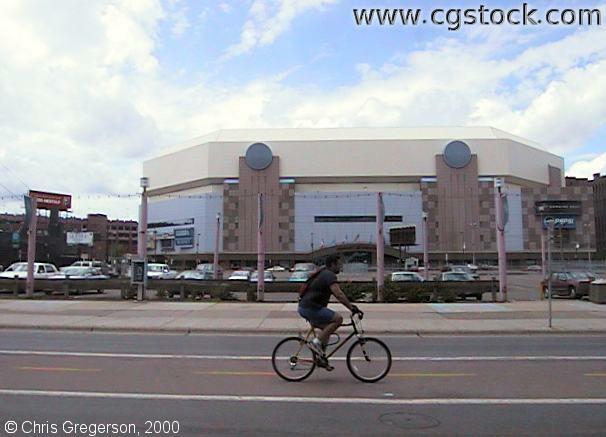 This is the target center, one block away on 1st Avenue North. City Center is behind you. The parking lot in the midground is "Block E", which used to be filled with retail entertainment space until the late 1980s. A new entertainment complex will break ground there in the summer or fall of 2000.